We offer the finest quality pashminas made in Nepal. These stunning pashmina wraps are made in 70% Pashmina and 30% Silk blend and measure 28 inches x 80 inches. 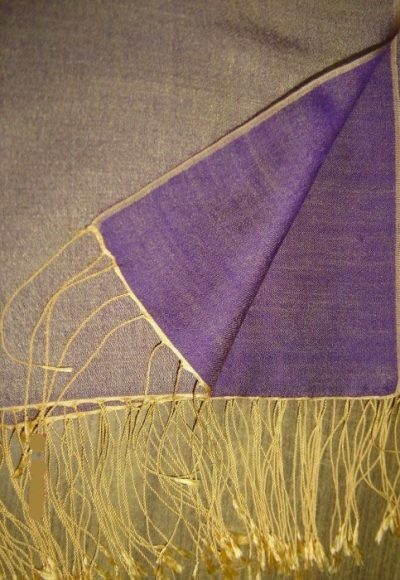 These are light weight pashminas that are perfect for spring summer and fall. These wraps are dyed in two different yet complementary shades on either side which create a fabulous contrasting effect. 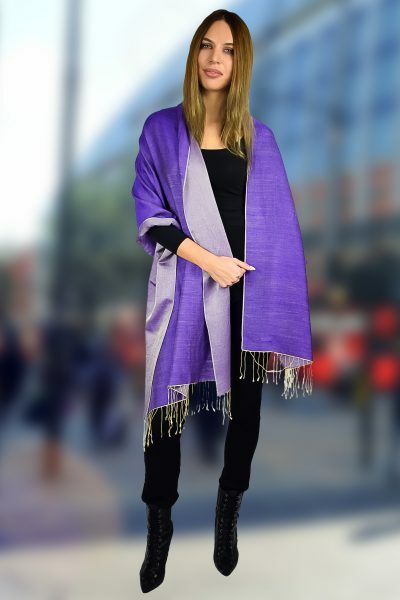 They also provide the advantage of a reversible pashmina. So you get to own two pashminas for the price of one. 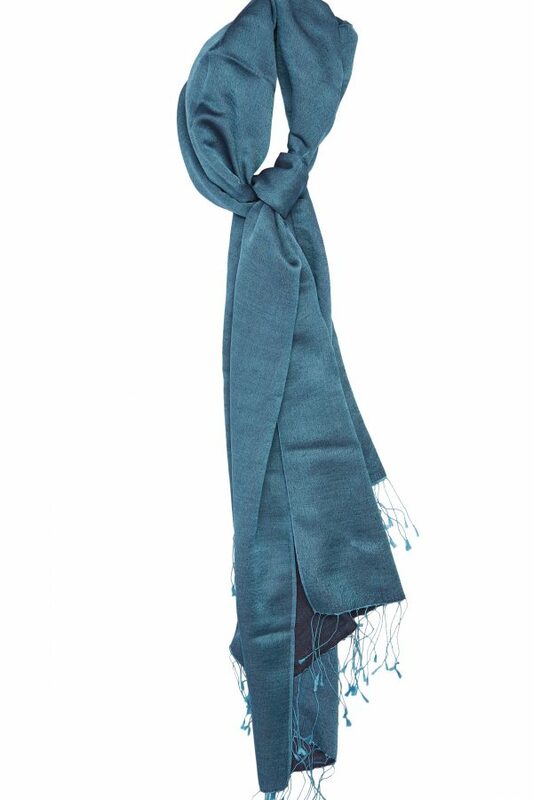 This two tone pashmina comes in a Peacock Blue shade combined with an Ink Blue.